Used by over 200 million women since the 1960s, the Pill is one of the most commonly prescribed medicines - and has repeatedly been established as one of the least harmful ever formulated. However, there are some risks, and a number of "Pill Scares" have been reported in the media - often causing women to give up the Pill without finding a satisfactory alternative. More choices than ever are now available to users of hormonal contraception, and it can be difficult for doctors or family planning workers to find the time for detailed discussion with existing or new users. Women of all ages, whether they are existing users of or new to hormonal contraception, will find realistic, practical, and trustworthy guidance in this book to help them to make their own informed decisions. It will also be indispensable to health professionals as a concise, balanced overview. 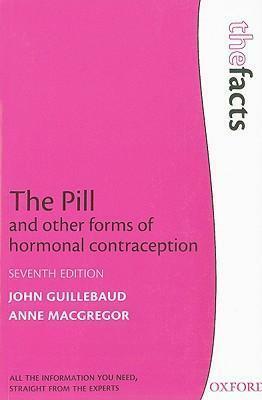 This user-friendly book contains extensive and unbiased advice and information on the Pill, along with other hormonal alternatives such as implants, injections and patches. www.ecotimecapsule.com, is Trustee of TASKwh (Towards African Solutions through Knowledge for Women's Health), Co-Chair of www.populationandsustainability.org, and Chair of Planet 21 (www.peopleandplanet.net ). Queen Mary's School of Medicine and Dentistry, London.